Vintage medical stool painted blue with losses and rust. It raises from 18" to 23". It is 14.5" wide at the base and the seat is 12.5" wide. 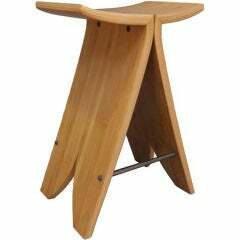 Industrial, counter height, shop stool features a wrought iron frame and contoured oak seat. Industrial, counter height, shop stool features a wrought iron frame and seat. 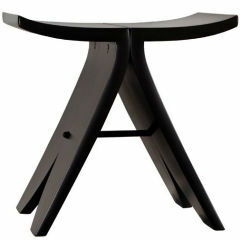 You can customize the measurements, colours and the seat (wood or iron). 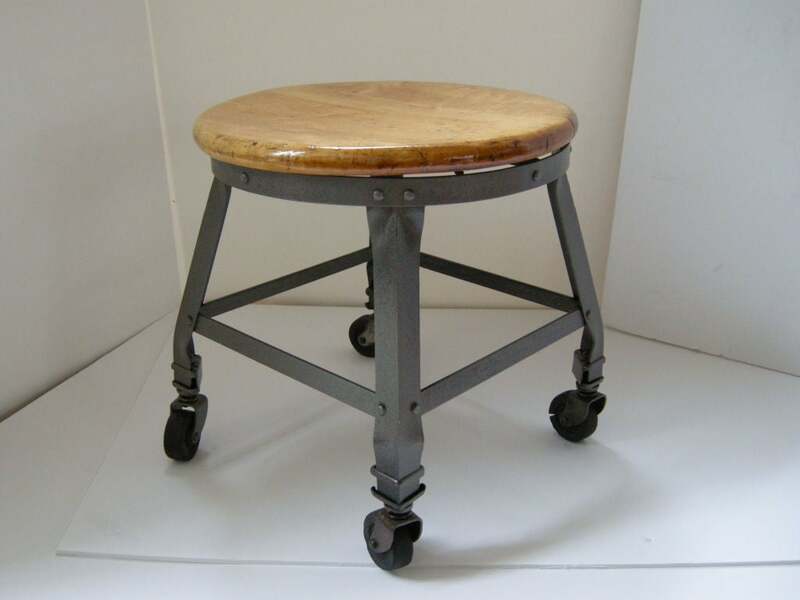 Industrial style stool, in painted iron 1950. 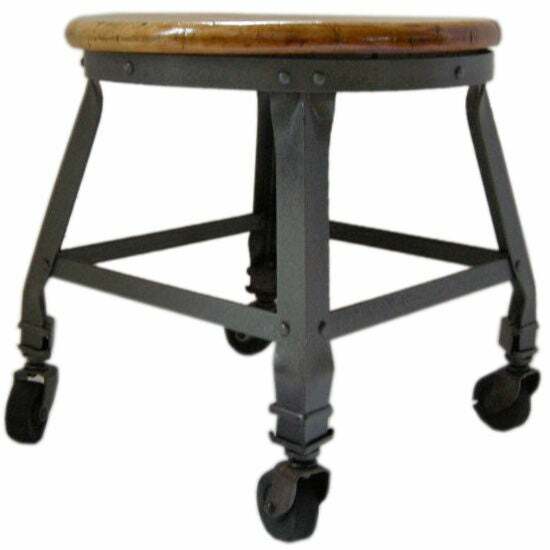 Industrial, counter height, shop stool features a wrought iron frame and seat. You can customize the measurements, colors and the seat (wood or iron).